Once again Nordic Game Week is going to be huge! 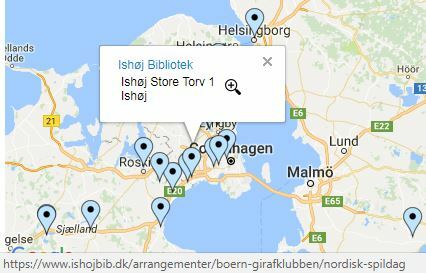 At the moment we have 230+ registered libraries, schools, youth centers, businesses etc who are organizing a multitude of activities during the Nordic Game Week. Please check to see if your organization is displayed on the Nordic Game Week Map and make sure the link on your pin goes to the web page you wanted. Last year you posted almost a hundred pictures on Instagram and Twitter using the hashtag #nordicgameday. This year we ask you to use the hashtag #nordicgameweek in addition to your national hashtags. Here’s the list of all registered organizations at the moment. If you have not yet registered to Nordic Game Week and you wish to participate, register here.